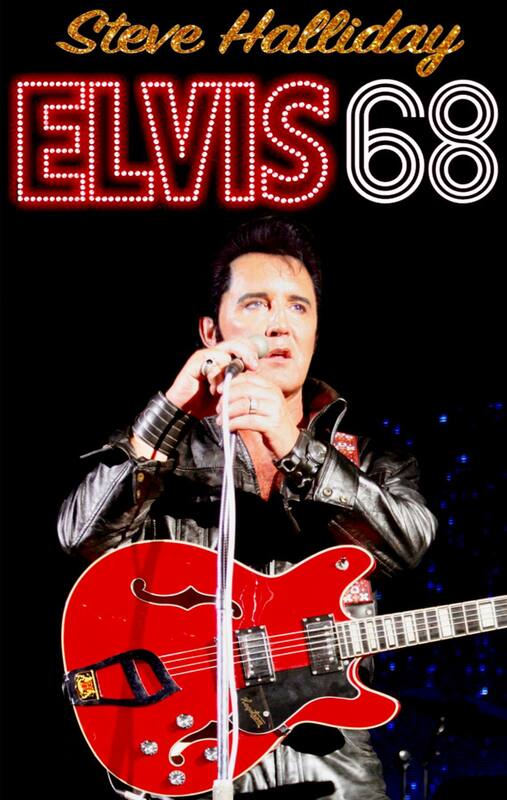 Featuring the sensational and award winning Steve Halliday is the Elvis show that fans have been crying out for. By the late 1960s the career of rock ‘n’ roll’s king was in stagnation. A string of poorly received movies and a drop in record sales had knocked him from his throne. But then came the outstanding TV Special of 1968 that resurrected his entire career and catapulted him back to the top of the charts and cemented his position as rock’s greatest icon. In this outstanding show of two halves, Steve Halliday with his band not only recreate with stunning authenticity the raw excitement of that TV Special but also reimagine Elvis in rehearsal prior to the groundbreaking re-emergence of the king to live performances in Las Vegas in 1969. This was when Elvis was firmly at his peak, performing with grit and energy the songs that made him a star such as Hound Dog, Heartbreak Hotel, Blue Suede Shoes, One Night, Don’t Be Cruel and All Shook Up, but also the songs that would make him a Las Vegas legend such as You’ve Lost That Loving Feeling, Bridge Over Troubled Water, Suspicious Minds, The Wonder of You and Always on my Mind.